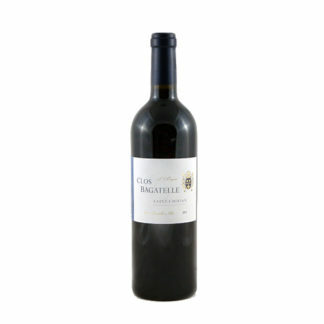 Bagatelle’s Cuvée Tradition 2016 is full of cool, stony fruit – there’s a dark berry freshness and lack of heat that’s hard to come by in much of the Languedoc. The palate offers fruit compote, meatiness, and hints of tobacco, but without high alcohol or palate-tiring heaviness. This is a well-priced, crowd pleasing red — it’s the house red for several of our friends. As the weather cools, this is a perfect everyday red to have around to match with autumn dishes. Pair with steak and other burgers from the grill, or a weeknight stew.